First Milo. Then Murray. Then…Singer and Peterson? 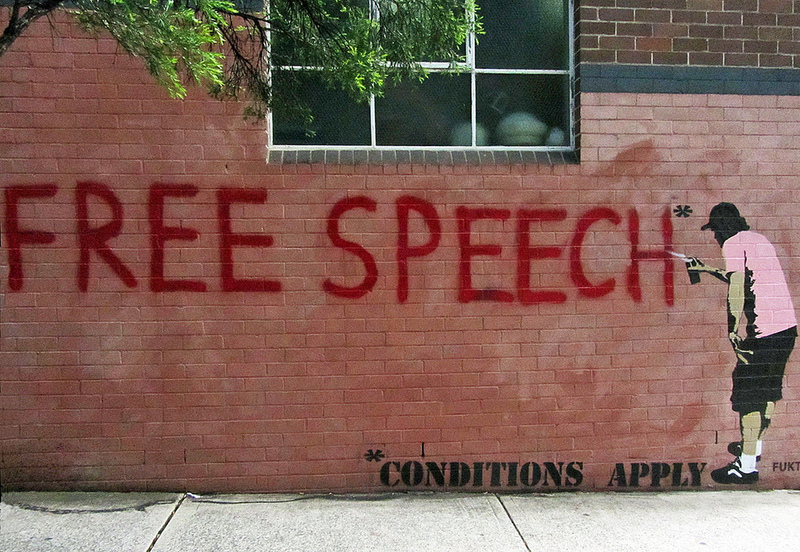 Has the free speech canary died in the coal mine? It’s 2017 and humanity faces a multitude of challenges. The usual specters of poverty, violence, inequality, and tribalism rear their heads (though at largely lower levels relative to the past). And added to our plate we find the uncertainties of global environmental change, surges in population, looming automation, increased political polarization, religious fundamentalism, and resurgent nationalism to name a few (you’ll forgive me if I’ve left out your favorite worry). But the challenge I find myself most agitated over lately is the diminished respect for free speech on college campuses. By now of course you have seen or heard about the incident at Middlebury College involving Professor Charles Murray and Allison Stranger. The former was shouted down and unable to deliver his (invited) talk without moving to a separate room, and the latter was physically assaulted by a member of the un-satiated student mob. Murray can legitimately be considered a “controversial” speaker, having co-authored The Bell Curve, which includes a chapter related to possible average-IQ differences attributable to race. However he is not a “white nationalist” as he was incorrectly described by the increasingly unreliable Southern Poverty Law Center, and was not even at Middlebury to talk about The Bell Curve, but instead his 2012 and pertinent-to-the-times book, Coming Apart: The State of White America, 1960-2010. Disturbing as it was (particularly the cult-like chanting which you can see here), I did not despair, considering this an isolated incident of naïve activism on the part of mostly well-intentioned students. But perhaps it was I who was being naïve. This afternoon I was shown a video of University of Toronto psychologist Jordan B. Peterson similarly confronted by a group of students at McMaster University. As I read their “NO HATE SPEECH” poster boards and heard their shouts of “SHUT HIM DOWN”, I had the sinking feeling that the canary in the coal mine of free speech had just slumped over. Peterson, insofar as I can ascertain, is not a controversial speaker of the Murray sort (unless you are one of those sexpots energized by questioning the validity and value of archetypical forms in mythology and religion). And Peterson is certainly no Milo. Thus, I realized that the no-speech movement on college campuses is in fact closer to the Salem-analogies than I was originally ready to admit. Labeling speakers as unworthy of a platform, or as “offensive” has become a weapon, and no one is safe. Are you a college student feeling inadequate, bored, or self-righteous? Wait for someone to be invited to speak on your campus—truly anyone, as the Peterson example shows, will do—and feign to take offense at something this individual has said or written, no matter how far in the past, the context, or the person’s overall body of work and character. Presto! You have yourself a protest, a taste of the 60’s that you hold so dear, and complete assurance that you’re a good person. And in case you’re tempted to call me melodramatic, consider another report in which a Q&A by the moral philosopher and inspiration for the Effective Altruism movement, Peter Singer, was similarly disrupted. If you know Singer’s work, you’re likely asking yourself something along the lines of: Am I in a Joseph Heller novel or How on earth can students be protesting, much less attempting to shut down, a talk by such an objectively thoughtful, rational, and ethical person? Jonathan Haidt provides some help in understanding this phenomenon by explaining that we may be looking at a paradigm shift in higher education discourse and morality, isolated mostly to social science departments at elite private universities. He discusses this shifting moral order on campus in this interview with Frank Bruni and elsewhere, explaining that in contrast to the traditional university ethos based on teaching multiple perspectives and encouraging debate among them, the new moral order assumes certain perspectives as correct, then filters all other discourse through that lens. The result is that many of today’s students seem consider their points of view beyond reasonable objection, and thus feel justified shouting down speech because they know it’s wrong. The problem, of course, is that they don’t know it’s wrong. And they don’t know it’s wrong because they have rejected the surest defense to delusion: frequent exposure to new or different ideas. Most disturbingly, it seems that in some cases students are so intellectually lazy that they don’t even take the time to confirm whether the person they’ve decided to disagree with in advance actually holds the views they disagree with. If someone’s accused of being a witch, they must be a witch; no need to investigate. So this stark reality (noticed perhaps late on my part) has convinced me forevermore that even very good ideas are fragile and not to be taken for granted. And free speech is a very good idea. It is in fact one of the few ideas I have trouble seeing another side to. So much so that I had to overcome embarrassment at writing this post in the first place, feeling it akin condemning an obvious platitude like, say, stealing is wrong and acting otherwise leads to a society most would not be happy in. The best defense of free speech can be found by Mill (On Liberty)—which I encourage you to read at this instant—but then you also have Hitchens, Van Jones, and many others today and through the ages. Digest the argument of the marketplace of ideas, and then tell me: what harm can come from hearing speech that you disagree with, so long as you are armed with the very same freedom to argue against it? All of this is not to suggest, in some demented way, that I consider free speech comparable as a life or death matter to those considerable challenges facing humanity listed above. And it is not to suggest that I disagree in principle with the intentions of many of the aforementioned activists (or, “delayed adolescents” if I’m being harsh), insofar as they dislike racism, sexism, and the like. But it is to suggest that free speech is worth defending loudly and with conviction. And it is to suggest that free discourse is the best way to solve those considerable challenges. Incidents like Middlebury, McMaster, and surely more soon, are worth sounding the alarm over—and I hope you’ll help sound it.